Happy Friday friends!! Did you know that every Friday over on my facebook page I share free lesson ideas? Well, I do!! Be sure to follow me on facebook! You can find me here!! 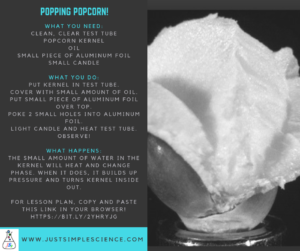 This week I share one of my all time favorite lessons-popping popcorn. Great lesson that shows the water cycle in a totally different way. You don’t want to miss grabbing this lesson idea!